Per Anders "Pajkatt" Olsson Lille has joined OG's Dota 2 roster, the team announced Tuesday. 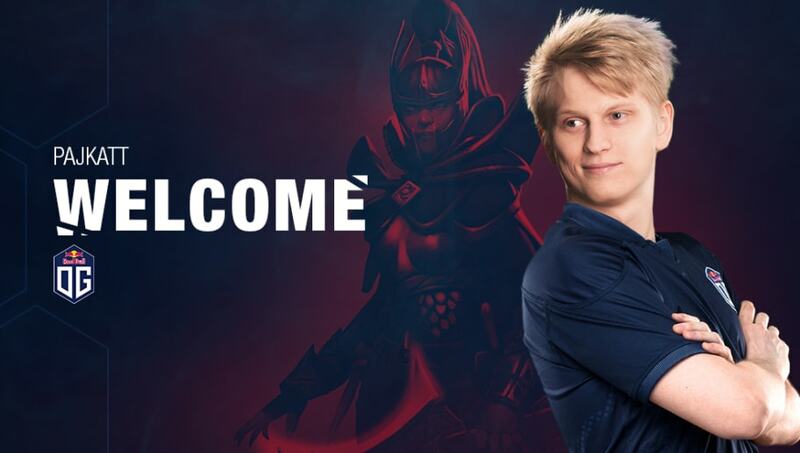 The Swedish carry player has already arrived at the team's boot camp and will take the starting position on the ​Dota 2 lineup immediately, the team wrote in a release. He will replace Anathan "ana" Pham, ​who joined in June, played an outsize role in the team's The International 8 success, and then left Nov. 11. Pajkatt has played for several teams over his Dota 2 career, including Natus Vincere and, most recently OpTic Gaming. While on OpTic, he earned a seventh-eighth place finish at TI8 and played on the winning side of the TI8 All-Star Match. OG ​won TI8 in August over PSG.LGD in one of the most surprising cinderella stories in Dota history. The team has yet to compete since that tournament, dropping out of the Kuala Lumpur Major ahead of its qualifiers ​in order to recover from a year of heavy travel.